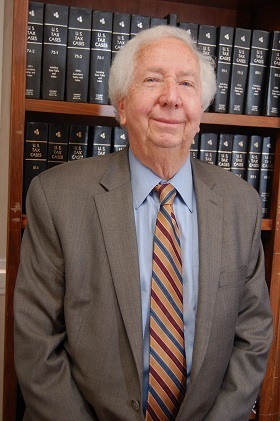 Mr. Simonton has practiced public accounting for over 45 years in the areas of income taxation, financial and estate planning, insurance, retirement plans, wills, and trusts. His industries of expertise include oil and gas, real estate, medical services, shipping, distribution, retail and wholesale operations. Licensed to practice law, Mr. Simonton brings unique experience to the integration of accounting practices in support of litigation. His work for law firms has included numerous business and family law cases, where he provided business and estate valuations, fraud auditing, hidden asset searches, loss profits projections, as well as other accounting and tax-related services. Mr. Simonton holds a Bachelor of Science degree in accounting from McNeese State University and a Juris Doctorate in law from Louisiana State University. He is a member of the Texas, Louisiana and American Bar Associations, the American Institute of Certified Public Accountants, the Texas Society of CPAs and the Louisiana Society of CPAs. He is also a Certified Financial Specialist. © 2019 Frierson, Sola, Simonton & Kutac, PLLC All Rights Reserved.